Game publisher CAPCOM recently showcased some important information about their upcoming video game remake Resident Evil 2 Remake. 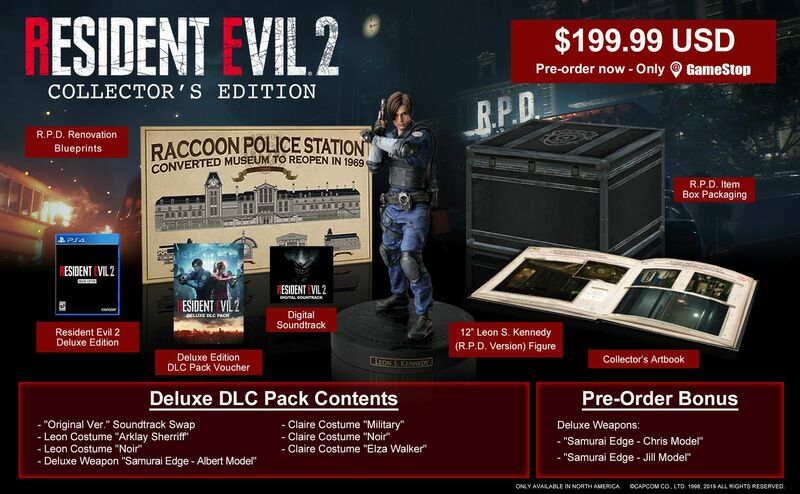 They also revealed other stuff like the Collector’s Edition. CAPCOM revealed a Collector’s Edition for the upcoming remake during their panel at San Diego Comic-Con 2018. This will be available only at GameStop and EBGames and for PlayStation 4 and Xbox One exclusively. The price tag is a big $199.99. Aside from the reveal of the Collector’s Edition, the audience was treated with a lot of artwork for both Leon and Claire. The characters and their clothes were designed with the help of the extensive use of photogrammetry. The development team wanted to give Leon a younger look in order to make him appear that he was on his first day on the job. Claire was based on the iconic scene where she rode her bike into Racoon City. With the new RE Engine, they made the city more wet and dark. The upcoming Resident Evil 2 Remake will launch on PS4, Xbox One, and PC. It will be available on January 25, 2019.